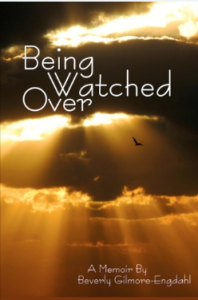 History, real life drama, joy and tears flow from the pages of “Being Watched Over.” This memoir will take you on a surprising roller coaster like ride through the personal, professional, amazing and wonderful life events of school teacher and author Beverly Gilmore-Engdahl. Along the way you’ll meet interesting characters with real life personalities, problems and imperfections. Beverly Gilmore-Engdahl’s invites you into her “Reliving Room” where she pulls back the curtains of her life and invites you to peruse her secrets, passions, and foibles.